John Grounds is no stranger to off-roading. 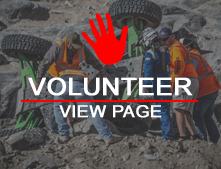 He is a pioneer in rock crawling, has competed in rock racing, and has worked first hand with reputable winning race teams. He is the engineering manager at Daystar Products. He has worked first hand at PSC in their racing division. His fabrication, skill set, and off-roading knowledge, helps push the team to new heights. John Grounds founded Proving Grounds Racing (PGR) and is the owner of the team.